Company Name: Nippon Poly-Glu Co., Ltd.
Nippon Poly-Glu now provides water treatment assistance all around the world, from responding to requests from the Thai government in the aftermath of 2004′s Sumatra-Andaman Earthquake to aiding 700,000 refugees in more than 50 camps across Somalia. Its products have also achieved commercial success in Bangladesh, where they are sold directly to municipalities and individual consumers, while part-time ‘Poly-Glu Ladies’ act as local researchers, marketers and salespeople. 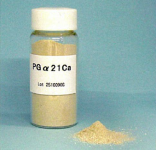 Nippon Poly-Glu facilities and products require little expert knowledge to use, and by selling directly, the company is able to provide enough PGα21Ca to treat 1,000 liters of water for as little as $1. The company has now touched as many as 70,000 individuals in Bangladesh alone. Nippon Poly-Glu works hand-in-hand with the Japan International Cooperation Agency (JICA) in Tanzania, and has recently received assistance from Japan’s Ministry of Economy, Trade and Industry (METI). It’s also working on small-scale efforts such as making inroads into small Buddhist villages in India. In recognition of the benefits PGα21Ca has provided both inside and outside Japan, in October 2013 Oda was presented with the Excellence Award at the Twelfth Japan Innovators’ Awards, hosted by Nikkei Business Publications. 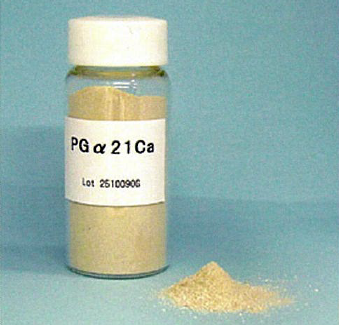 PGa21 Ca is a kind of flocculants that has both organic and inorganic characteristics of flocculants. It is made of organic cross-linked polyglutamic acid and inorganic substances like calcium compounds.Compared to other flocculants, it has multi-functional effects, so it can be used for purification of various types of contaminated and waste water. 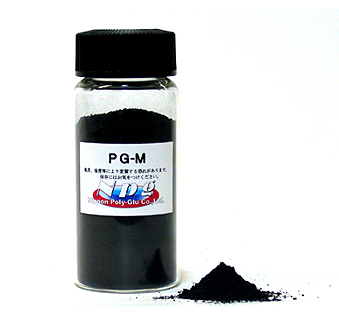 PG-M is a ﬂocculant of magnetic body while its main ingredient is polyglutamic acid ( biodegradable polymer ). Differing from conventional flocculants, magnetic substances are added to flocculants so that the ﬂocs ( ﬂoc is a solid form of ﬂocculated suspended particles in water), can be collected by gravitation of magnetic power.